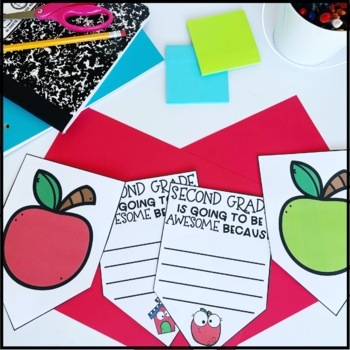 This easy, no-prep Back to School writing activity is perfect for decorating your classroom or hallway bulletin board during the first weeks of school! 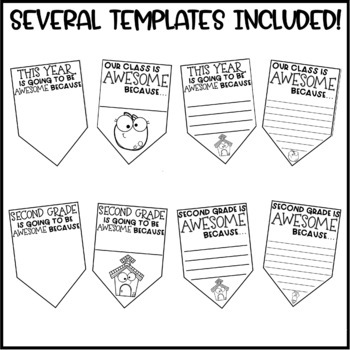 Students can share their why the upcoming year will be (or IS) awesome. 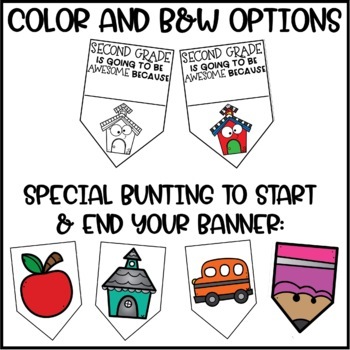 Then, you just string the pennants together, and you have an adorable and meaningful banner to adorn the top of your bulletin board. 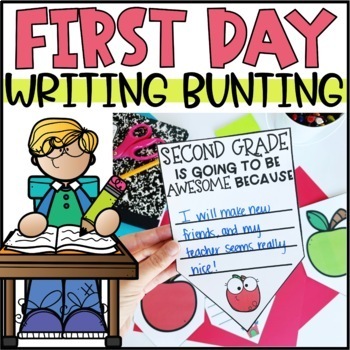 →Generic options "This class is awesome because" and "This year will be awesome because"
→K-5th grade options "Second grade is awesome because" and "Second grade is going to be awesome because"
★ Back to School All About Me Activity - "Let's TACO 'Bout ME!"